Where would we be without herbs? Our world would certainly be far less sensuous and magical. Gone would be the rush of heady scent conjured up as you brush past a basil or lavender plant on a warm summer’s afternoon. And without the transformative culinary impact of these wonderful plants imagine how uninspiring and insipid our food would become. Herbs are one of the first plants to appear in the edible garden as Spring unfolds, and they can begin to be used almost as soon as they appear. They are remarkably easy to grow from seed. Even if you don’t mhave a garden you can grow herbs in pots on your windowsill. All they need is indirect sunlight and a little water every few days and in return they will reward you with a “cut-and-come-again” source of fresh flavours that can help transform a humble sauce or revolutionise a dressing. Home grown herbs by definition are as locally sourced as could be. And, of course, growing your own will save you money that might otherwise have been spent on herbs from the supermarket. Over recent years fresh herbs have become big business for the supermarkets. They are usually presented to us either in the form of weak and and flimsy specimens in plastic pots or else they have been cut already and are presented to the shopper in plastic packaging. These herbs may well have travelled considerable distances to get on to the supermarket shelf, and in some cases they may have been subject to modified atmosphere packaging to artificially preserve their appearance. Supermarkets are now so ubiquitous and they stock such a vast range of products that, never mind a world without herbs, it’s almost as difficult to try to conjure up an idea of a world without supermarkets. They do, of course, have a lot going for them. They offer convenience and a place where you will almost certainly be able to find most if not all of the things that you need, concepts welcomed by many of us with busy lives. But that very convenience of the supermarket has transformed the way we think when we go shopping for food, and as a consequence it has transformed the way we eat. Go to any small market town in France or in Italy and you will see examples of the way we used to shop before the supermarket came to dominate our lives. There, shoppers frequent their local markets on a regular, even daily, basis. Much of the food that they buy is fresh – as well as herbs there are vegetables, fruit, bread, cheese, fish and meat for sale – and what shoppers buy there is destined to be consumed that same day. It’s like a shopping equivalent of “cut-and-come-again”. For most of us, the era of supermarket dominance has also ushered in the concept of the “weekly shop”, where the shopper buys all of the food they plan to use in the week ahead. Because fresh food does not keep as long as packaged and processed food, much of the food element of this “weekly shop” contains the latter at the expense of the former. Buying food for a week ahead rather than for the next day or two also increases the likelihood of the shopper buying more than they need and of at least some of the food purchased being thrown out. Top of the list of food wasted in this way is packaged salad and packaged herbs. The “weekly shop” appeals to us because we see our lives as very busy. But what this in turn reveals is that in our limited “free time” we do not give priority of place to the quality of the food we buy and eat, even though our health and wellbeing ultimately depend upon it. Herbs are such a vital component of my cooking that I have two beds devoted to them on my allotment plot, the Circus Garden. 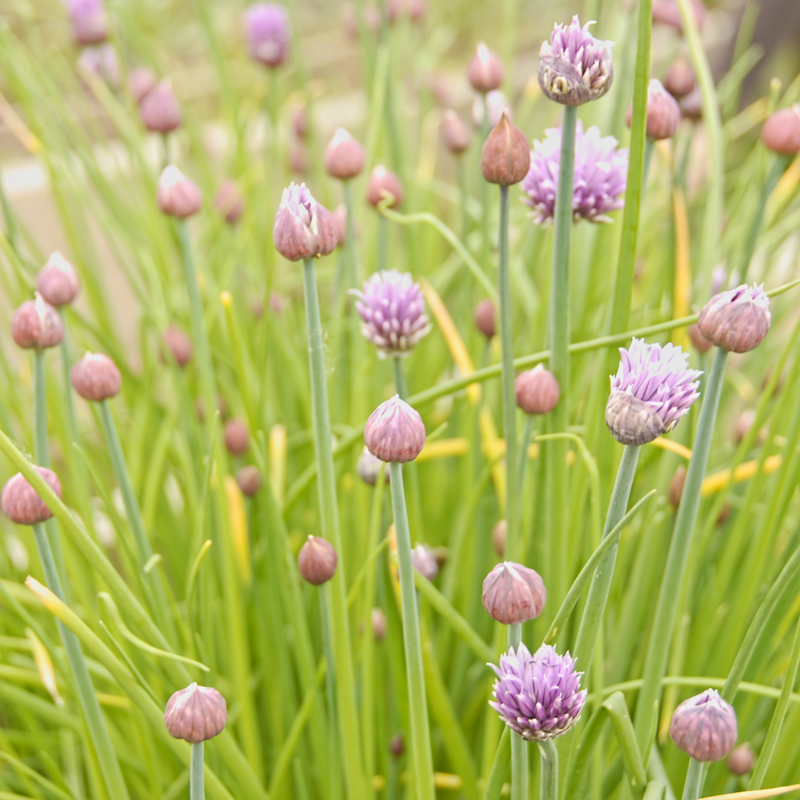 Of the many herbs I grow there, chives are amongst the first to emerge as the weather warms up. In this recipe I am combining them with some Little Hereford Smoked cheese, which is a locally produced cheese made with vegetarian rennet. The gentle smokiness of the Little Hereford Smoked works really well with the chives and is enhanced by the addition of a little smoked sea salt, but you could substitute another hard smoked cheese of your choice. Either way, these lovely, light, smokey, cheesey little beignets are likely to disappear pretty soon after you have made them. They’re perfect served with a good quality relish. 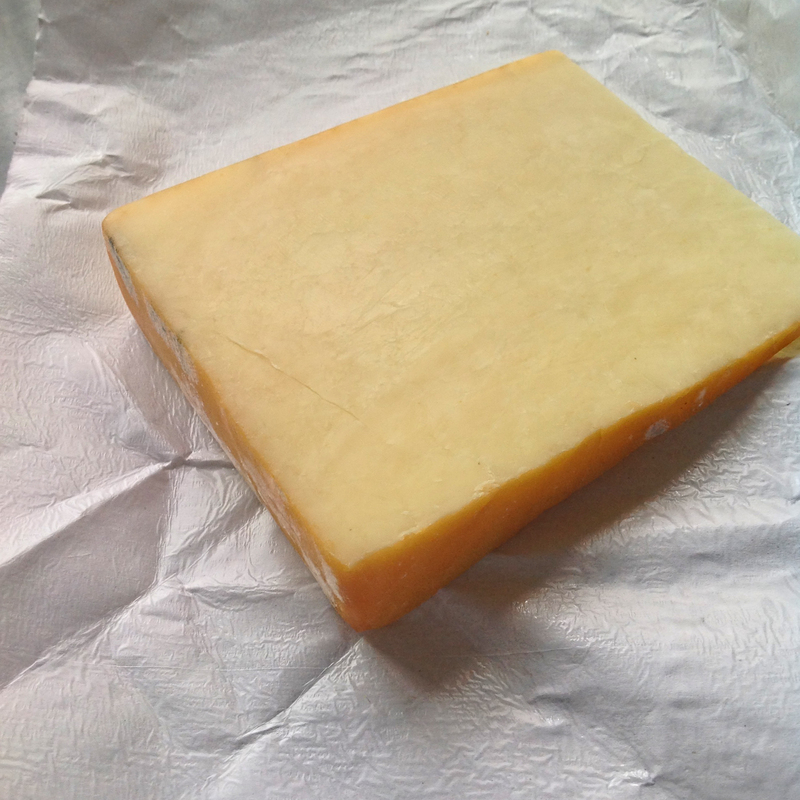 This recipe was entered into, and won, the May 2014 “Cheese Please” Recipe Blog Challenge organised by Fromage Homage, a rather delightful blog unabashedly devoted to the love of cheese. 1. Put the sea salt and the butter in a pan with the water and place over a medium heat. Bring to the boil. Carefully add the flour to the boiling mixture, remove from the heat and beat the mixture with a wooden spoon. Eventually it will form a smooth ball that comes away from the sides of the pan. 2. 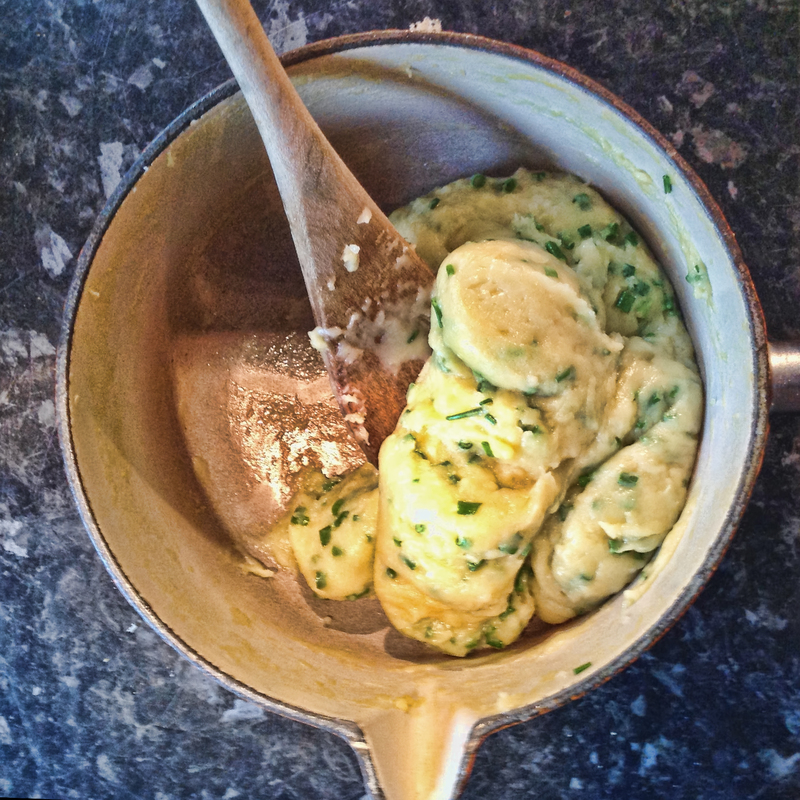 Add the egg yolks and beat quickly, until fully combined into a smooth paste. Add the cheese and the chives and stir to combine. 3. Pour the groundnut oil into a suitable pan to a depth of around 5 cm. Put over a medium to high heat. The oil is ready when it is hot enough to turn a cube of bread brown within 30 seconds. Carefully drop tea spoonfuls of the beignet mixture into the hot oil. You will need to do this in batches to avoid crowding the pan and lowering the oil temperature. Cook for 1-2 minutes, turning to ensure even cooking, until the beignets are a light golden brown in colour. Drain on kitchen paper and serve warm with a relish or dipping sauce. Thank you! I have to confess that I had originally intended to use a different locally produced cheese in this recipe – Hereford Red – but the cheese shop I tried (the wonderful Mousetrap in Ludlow) had run out. I’m really pleased now, as I think the smoked cheese took the recipe in a different and rather serendipitous direction. I don’t even want to think about a world without herbs… although I would happily consider a world without supermarket herbs. It’s the seasonality too – basil from a cellophane wrapped pot in December just isn’t right. Your cheese and chive beignets sound very good. I have just come back from 6 months in France and agree there are the weekly markets and there are also the massive supermarkets and seem to co exist side by side. I used to love buying the handmade artisan bread in the markets where a loaf sold by weight would cost me €4 but last half the week toasted and still delicious. I am off to get my herb garden going again now I am behind time! Will try the recipe looks good. Thanks very much for commenting. I envy you spending six months in France. Good luck with the herb garden! Thank you! I hope you enjoy the recipe.